I'm having so much fun browsing through the Monster Candles shop! I almost have to sit on my credit card and "forget" my Paypal account password so I don't overspend! 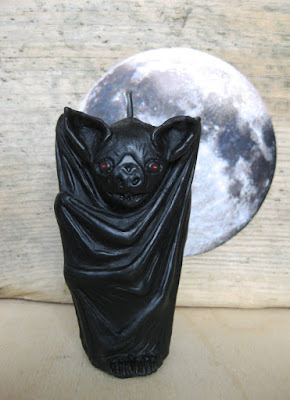 This beeswax vampire bat has red eyes! 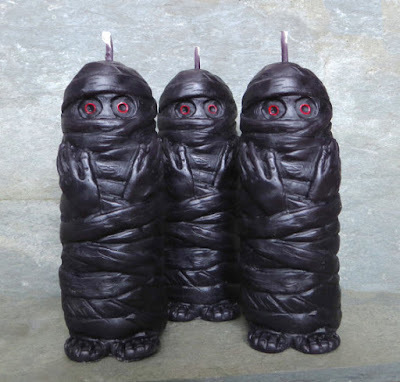 I can't recall ever seeing a black mummy candle before! 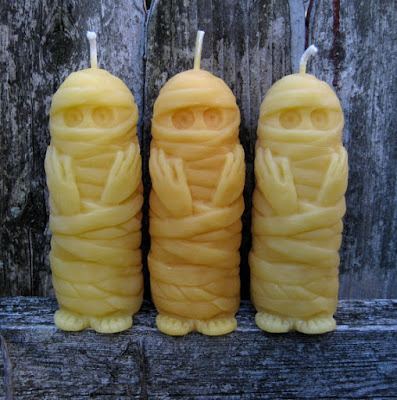 They also carry beige beeswax mummy candles as well if you prefer. 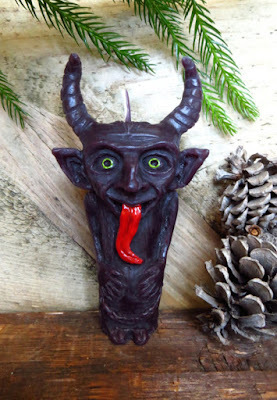 For the holidays, here's a beeswax Krampus Christmas devil candle. 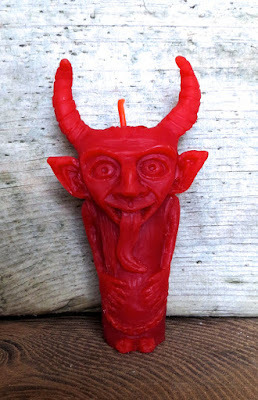 If his lolling red tongue is too much for you, here's a simpler red Krampus candle. 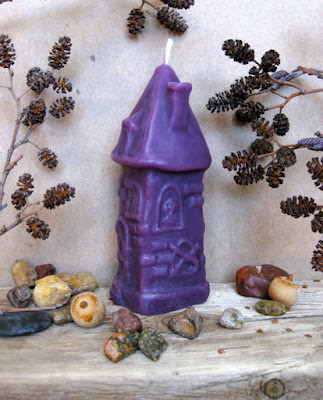 I'm delighted that this beeswax haunted house candle is purple! I find regular pumpkin-shaped candles too boring for me - they're not Halloweeny enough. 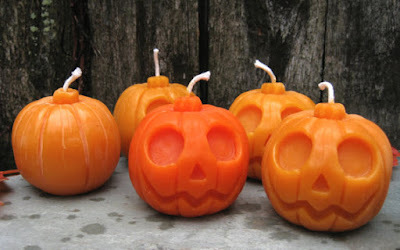 So I'm enchanted by these cute and quirky beeswax Jack o' Lantern candles. I normally burn up and enjoy using my candles, even if it means they lose their shape. (Towards the end I hide them inside a big hurricane so the candle light is seen but the melty weird shape isn't!) But this black Jack o' Lantern candle I would never light. 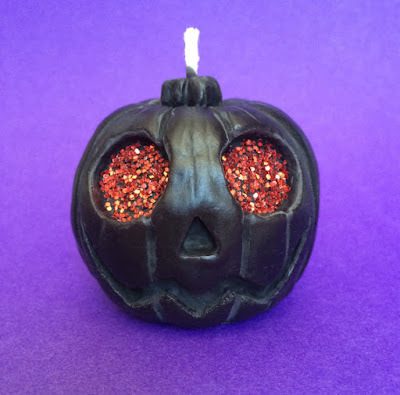 The cool glitter from his eyes would make a mess, and then this darling candle would be gone forever! I couldn't bear it.